iEARN-USA, a non-profit organization based in New York, recently celebrated its 30th Anniversary as the U.S. Centre of iEARN (International Education and Resource Network), a coalition of organizations in 140 countries. iEARN is the world's largest, most experienced online K-12 network that enables educators and young people to participate in global technology-assisted interaction. As the head of the U.S. branch of an incredible network of educators, youth, and partners from around the world, the Executive Director plays a key role in leading iEARN-USA’s team, developing new partnerships and programs, as well as acting as a global diplomat. Ms. Ortiz-Cidlik has shared, "I'm honored to be joining iEARN, an organization focused on global education. Education is the greatest tool we have to change the world; and by connecting youth and educators with their peers around the globe, I believe we will build a world that values diversity, that focuses on commonalities rather than differences, and that brings people together to find solutions to our world's problems. Something that is needed today more than ever." 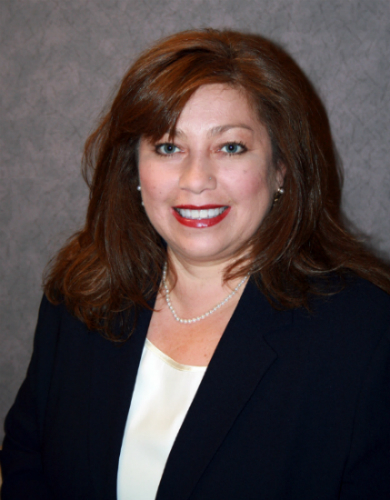 A visionary strategist and change catalyst, Ms. Ortiz-Cidlik has more than 20 years of non-profit leadership experience. She began her career fundraising for environmental and citizen rights organizations. Since then, she focused her career on youth development organizations, spending several years in the alcohol, tobacco, drug, and delinquency prevention field where she led a team that trained school teachers, guidance counselors, and other youth workers to deliver a nationally-awarded prevention program. Most recently, as the Chief Executive of USA Girl Scouts Overseas, she led Girl Scouts’ overseas operations and a team on three continents that brought the Girl Scout Leadership Experience to girls and families in nearly 90 countries around the world. Ms. Ortiz-Cidlik has always been passionate about issues that impact women and youth. She served multiple terms on the Lancaster County, Nebraska Women’s Commission during which she started and hosted a television talk show focused on topics that impact women. She has had the honor of serving as a member of Girl Scouts USA’s delegation to the WAGGGS (World Association of Girl Guides and Girl Scouts) World Conferences in Hong Kong and New Delhi. She remains active in local, national, and international organizations to advance opportunities for women and youth. When she’s not advocating for youth and women, she enjoys tennis, traveling, and the theatre. Her previous experience includes: Chief Executive, USA Girl Scouts Overseas; Chief Operating Officer, Girl Scouts Spirit of Nebraska; Director of Membership and Program, Girl Scouts-Homestead Council; ALL STARS Director, Nebraska Council to Prevent Alcohol and Drug Abuse; Campaign Director, Sierra Club. She holds a BA in Human Resource Management, Doane College, and an MA in Business Management from Doane College. Since its founding in 1988, iEARN has pioneered the field of virtual exchange, and brought together millions of educators and youth to engage in collaborative project work. iEARN-USA has been recognized nationally for its groundbreaking work, including as a 2017 GreatNonprofits Top-Rated Non-Profit, a 2017 Classy Award finalist, and as an award recipient from the American Association of Librarians and the Goldman Sachs Foundation Prize for Excellence in International Education. iEARN-USA works with many U.S. and international partners and funders to implement global education programs around the world. Currently, iEARN-USA is an implementing partner of two U.S. State Department funded international exchange programs for high-school aged youth: Kennedy-Lugar Youth Exchange and Study (YES) Program and the National Security Language Initiative for Youth (NSLI-Y) Program. Learn more about iEARN-USA and its partnerships at https://us.iearn.org.